One year on: Has Cape Town learned from 'Day Zero'? 22.04.2019 | 02:59 mins. In 2018, Day Zero, the day the taps run dry, seemed a real possibility. 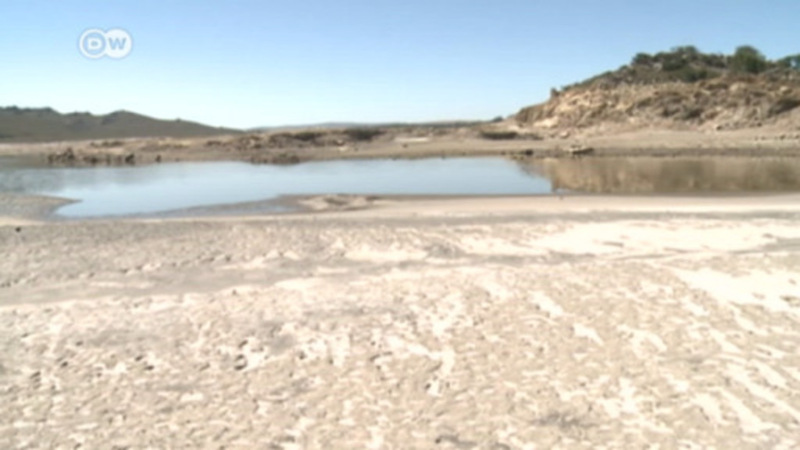 The emergency was sparked by years of drought, but also wasteful water use by many in the city. Have its people learned the lessons the emergency taught? Talks break down between Sudan's army and protesters 22.04.2019 | 01:57 mins. The military council has told demonstrators to take down road blocks outside the military headquarters, where thousands have been staging a sit-in since the ouster of President al-Bashir – demanding an immediate transition to a civilian government. Top stories in 90 seconds 22.04.2019 | 01:35 mins. Coastal erosion leaves Thai temple stranded 22.04.2019 | 01:39 mins. Climate change, industrial farming and rapid urbanization have ravaged Thailand's fragile coastline and the mangrove forests that protect it. The result: a quarter of Thailand's shores are eroding away, which threatens communities and landmarks. Jack Ma’s call for longer hours sparks China debate 22.04.2019 | 01:44 mins. While Europe jealously guards its short weeking weeks and generous holiday packages, Chinese tycoon Jack Ma wants workers in to put in even more hours. The Alibaba chief's comments have sparked a debate in China about work-life balance. DW Business Asia 22.04.2019 | 12:20 mins. News Asia, April 22 22.04.2019 | 13:02 mins. Today on DW News Asia: An attack on Sri Lanka's multi-cultural character. Will the suicide bombings on Easter Sunday widen ever present rifts between the nation's communites and religions? A look at why a clean-up of India's holiest river is such a tall task. And Thailand's 'floating temple' that's fighting a lonely battle against climate change. Safeguarding Guinea's mangroves with the sun 22.04.2019 | 04:41 mins. After analyzing why the country's mangroves were being cut down, an NGO finally had the right battle tools and is showing locals energy efficient ways to use the sun's power for their salt production. 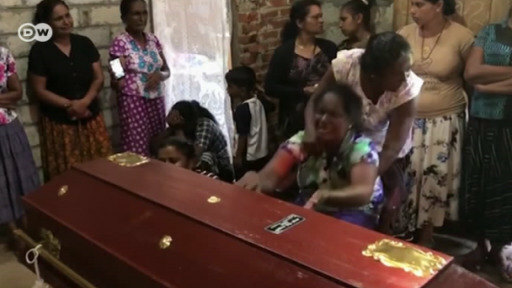 Grief, shock, and another explosive in Sri Lanka 22.04.2019 | 01:49 mins. The day after a massive bombing in Sri Lanka, another explosive went off as a bomb disposal team tried to defuse it. There were no immediate reports of injuries. Officials believe a local Islamist extremist group was behind Sunday’s deadly attacks. Arts and Culture - Friday, April 22, 2019 22.04.2019 | 13:03 mins. 'Arts and Culture,' presented by Karin Helmstaedt. On this edition: we look at films that keep conspiracy theories about the lunar landing alive; visit Berlin’s Museum Island; and meet an Italian theater troupe that recreates famous paintings. Landslide victory for Zelensky in Ukraine 22.04.2019 | 01:58 mins. More than 100 events were planned this weekend calling for an end to German arms exports to crisis areas. Decades after their Cold War heyday, the annual peace marches are still going strong. US increases pressure on Iranian oil, triggering oil price spike 22.04.2019 | 01:02 mins. The US is putting pressure on Iran to drive Tehran's exports to zero. The State Department is expected to announce the end of waivers for countries to import Iranian oil on Monday. Oil prices rallied by about 3 percent on the news, with Brent Crude reaching more than 73 point 86 US dollars a barrel. Sudan at the turning point: but what of the economy? 22.04.2019 | 01:32 mins. DW Business - Europe 22.04.2019 | 11:21 mins. 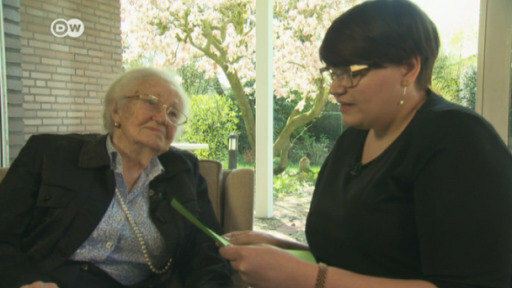 Erna deVries’ Holocaust tales 22.04.2019 | 04:03 mins. Erna deVries, who is 95, survived the Holocaust. Her age has made it more difficult for her to tell her story. That’s why students like Vanessa Eisenhardt are taking part in a projected to keep young people aware.